Ensure that you have the latest desktop version of Chrome or download Chrome. Click Account settings and navigate to Voice navigation in the navigation menu on the left side. Click Add extension in the Chrome modal. 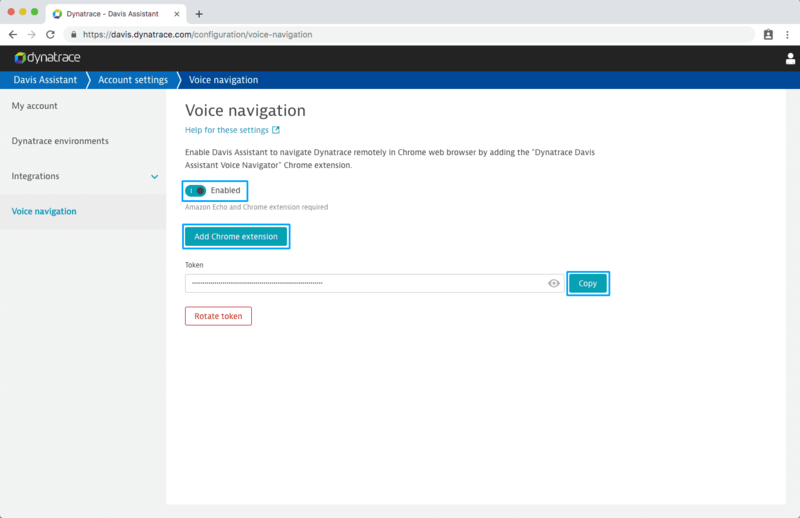 Click Dynatrace Davis Voice Navigator in Chrome&apos;s extensions section of the toolbar at the top-right of the window. Click Copy next to the Token input. Paste the token into the extension&apos;s Set Token input on the options page. Click Save and confirm the extension connected to Davis Assistant successfully. 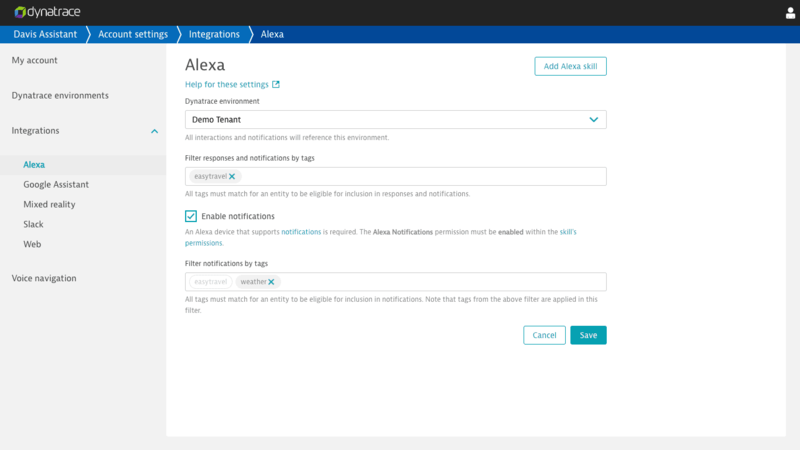 With the Davis Assistant Alexa skill added to your Amazon account and the Davis Assistant Voice Navigator connected, tell Alexa Alexa, ask Davis to open my dashboard. 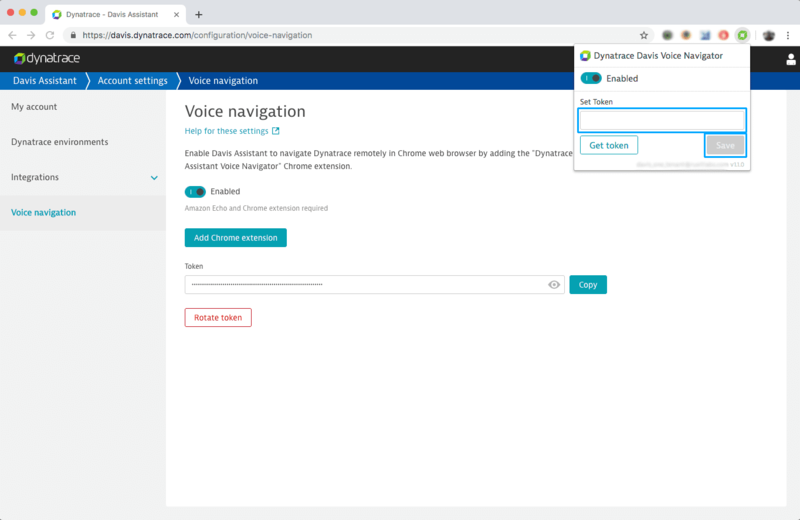 A new tab in Chrome should open with your Dynatrace dashboard in it. Explore more interaction examples and try out other interactions that feature voice-navigation support.